A comfortable bedroom with classic colours and furniture is a great way to enjoy your personal, relaxing space. 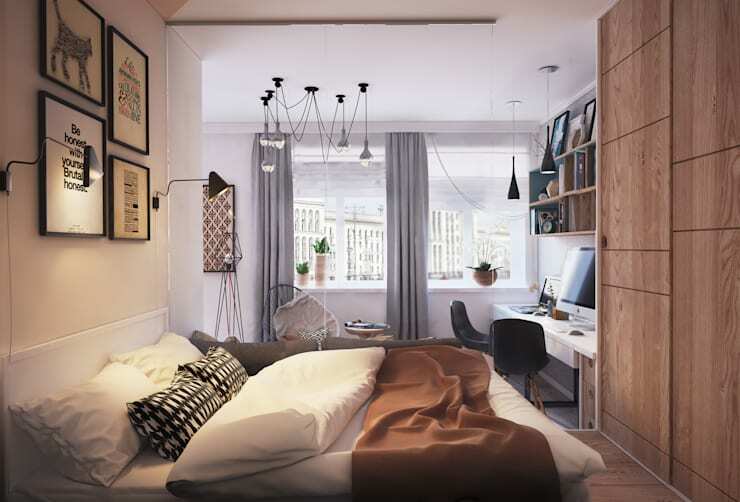 But, this Ideabook has been compiled with the help of interior design professionals to show you that although your bedroom may be tiny, there are still fantastic designer décor options to suit your space. Creativity and colour can make for an interesting interior! 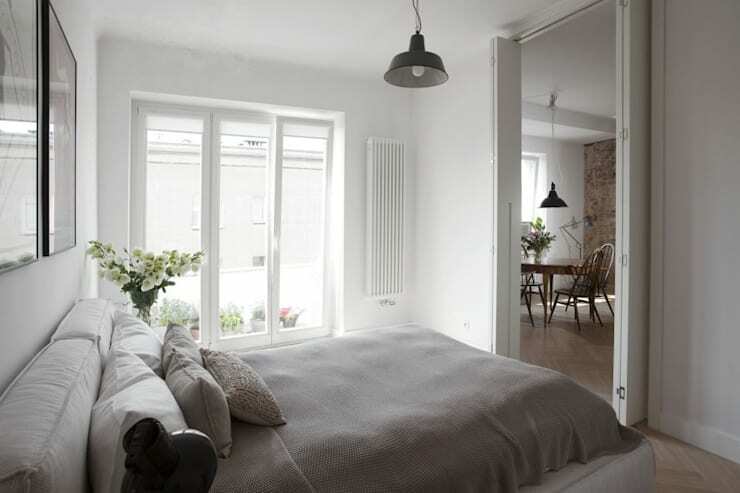 The best way to make a bedroom seem larger is by allowing natural light to flow in and brighten up the interior. 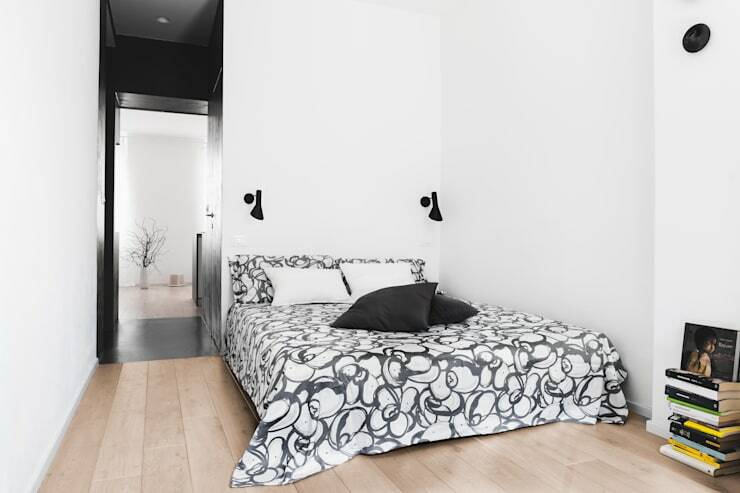 This monochrome design is trendy and elegant, with the white making the space lighter, while the black makes for a great contrast. If limited space is the problem in your dream master bedroom, then consider soft hues that will enhance the interior, making it lighter. It’s welcoming, cosy and simple too. Another fantastic way to make a bedroom seem larger is by adding transparent sliding doors that create a flowing space, while also enhancing the light through perfectly placed mirrors. To make your space comfortable and bright too, consider white walls, with soft colour curtains and sliding doors that create private space, but also allow for natural light to flow in. 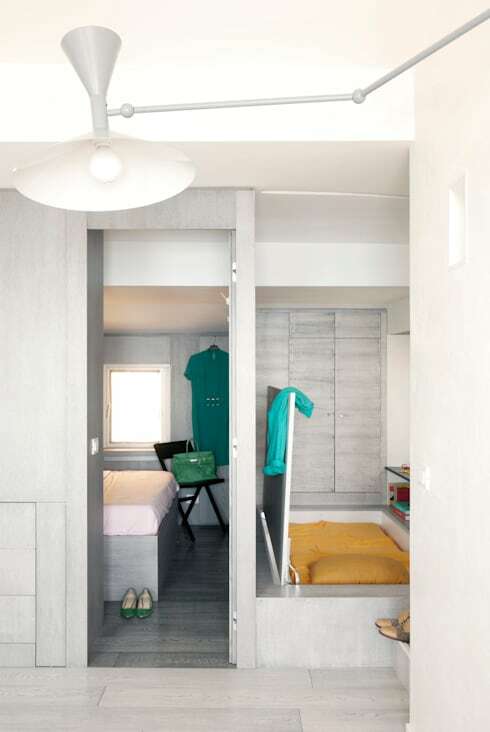 Utilising all the available surfaces to store accessories and clothing is also a great way to decorate a small bedroom. This room has compensated for the lack of space with a textured approach that makes it comfortable and unique. Using creative geometric patterns is another fun way to make a space seem larger, in this bedroom the space is also a home office so it was necessary to make it look less cramped and more relaxed. If your apartment is small, but you receive guests regularly, then it might be a good idea to install another bed, somewhere hidden. 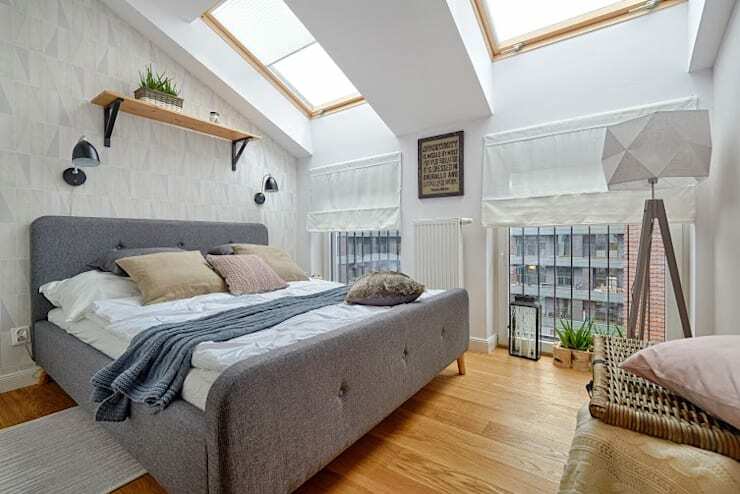 This great second bed is hidden beneath the floorboards, now isn’t that smart? High ceilings not only make for a cooler home, but would also be a great way to incorporate a loft or mezzanine level into your space. 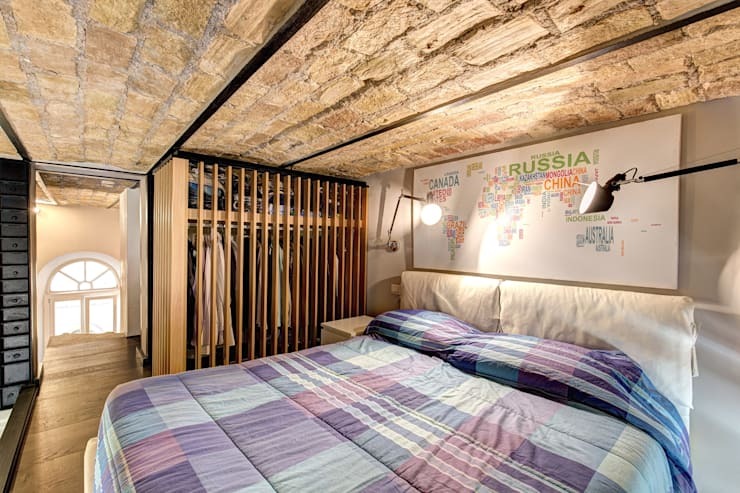 This idea would make for a funky second bedroom too. Colour is a great way to add creativity and style to a bedroom and this small space definitely looks attractive and eye catching as a result. It’s a simple mix of neutral tones and brighter accents that make this space so perfect. 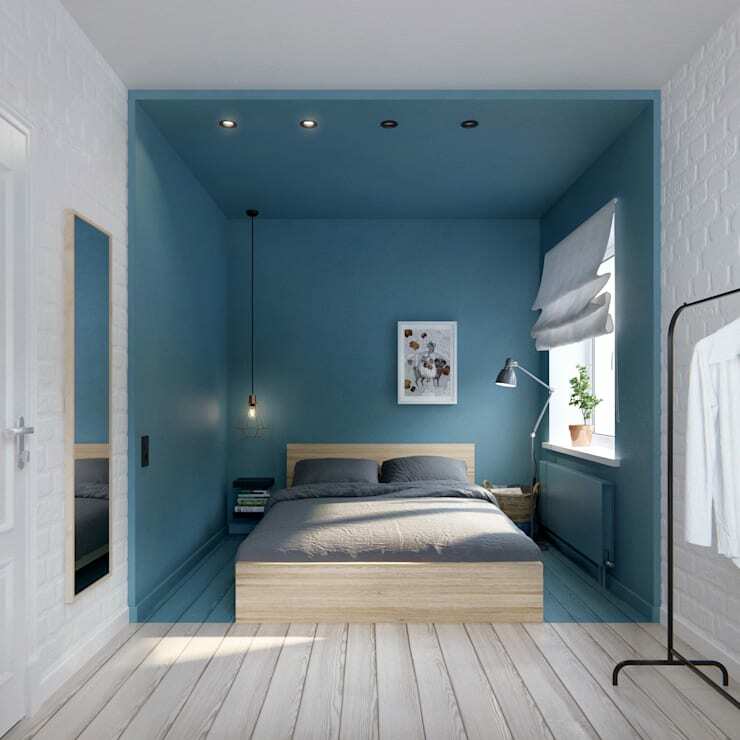 This final image brings us to the end of this Ideabook, but it’s not hard to see how a pleasant atmosphere can be created in a small bedroom, when calming colours are used for the walls, floor and ceiling. These are some creative tips for: Bedroom Decor for Peaceful Sleep. Which idea would you use in your own home?